Cornwallian Chris Bean has been meeting with fellow fishermen (and a few chefs) from Port Clyde to Boston to explain how hauling in sashimi-grade fish could be an economically sustainable way to make the most of their sustainably caught seafood. I met Bean, a lanky, bearded chap with a white cap of hair and a colorful presence that combines several plaid woolen layers with a cherry red neckerchief, at the annual Fisherman’s Forum in Rockland earlier this month. His company, Kernowsashimi, sells top quality sustainable fish caught off the southwestern coast of the United Kingdom. It operates small day boats from which the fish are caught with hand lines and gillnets. Many of the same species Bean sells, such as mackerel, pollock, monkfish, flounder and dogfish, are swimming in sustainable numbers in the Gulf of Maine. Christine Burns Rudalevige squeezes lemon onto the raw scallops for crudo. Bean’s success selling sashimi-grade seafood to many top London sushi restaurants at top prices lies in his use of a Japanese technique for killing fish at sea called ike jime. A spike is inserted quickly and directly into the fish’s hindbrain so that it is killed instantly. Bean then submerges the fish in a slurry of seawater and ice that quickly brings their temperature to just above freezing. Combined, these measures stem the flow of adrenaline, lactic acid and blood into the meat of the fish, thereby preserving its quality and increasing its shelf life. Bean was the guest of the Gulf of Maine Research Institute (GMRI), which brought him stateside under a grant the organization was awarded last summer to research how it could help increase the value of fish pulled from the Gulf of Maine. According to Jen Levin, GMRI’s sustainable seafood senior program manager, Maine fishermen harvested just 17 percent of the allowable mackerel catch last season. Low market demand meant that fishermen could get only 14 to 20 cents per pound for the mackerel, admittedly not much incentive. But the going rate for sashimi-grade mackerel coming from Japan into high-end sushi restaurants in Portland is upwards of $23 per pound. 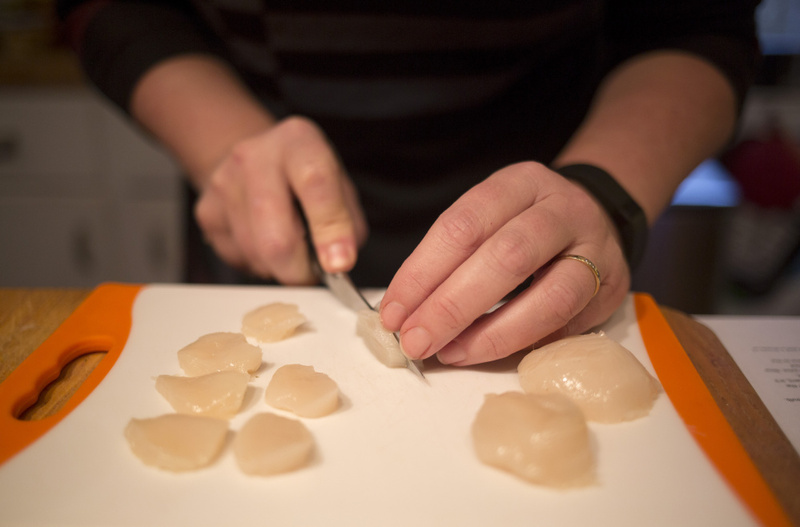 Christine Burns Rudalevige slices scallops into -inch-thick coins for scallop crudo. “We’ve given chefs sashimi-grade mackerel from Maine, and it is getting great reviews,” Levin said. She added that since limits placed on landing declining populations means that fishermen’s catch is smaller than in the past, then following Bean’s lead would at least help them fetch a higher price for the fish they are permitted to get. Her long-term goal is to make Gulf of Maine sashimi-grade seafood world renowned. Levin hopes to have a couple of chefs using Maine-sourced sashimi within the year, but doesn’t expect the practice to be commonplace for at least ten. If any finfish is going to be sold to be consumed raw, food safety guidelines in both the United Kingdom and the United States stipulate that it must be frozen and stored at a temperature of -4 degrees F or below for a minimum of 7 days or flash frozen to -31 degrees F for 15 hours to kill any potential parasites, which can be a costly processing step to take. Neither Bean nor Levin expects every Maine fishermen to institute these practices for every fish they catch. Rather, they advocate that handling some fish in such a fashion can easily be part of a diversified plan to keep the fishing heritage alive and well in Maine. 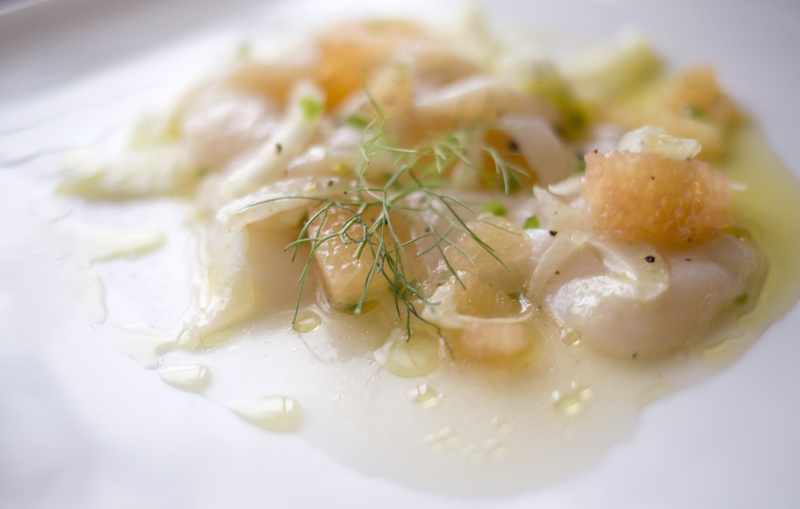 Christine Burns Rudalevige prepares scallop crudo with grapefruit, fennel and chili at her home. Fresh, high quality seafood is the key to a tasty crudo. Admittedly, Chris Bean’s sashimi-grade fin fish evangelism doesn’t apply to scallops, which are shellfish. But with the Maine scallop season wrapping up on April 15, get them fresh and eat them raw while you can. Perhaps if local fisherman follow in Bean’s footsteps and begin hauling in sashimi-grade pollock, redfish and dogfish, we can eat them raw in the same fashion in the near future. 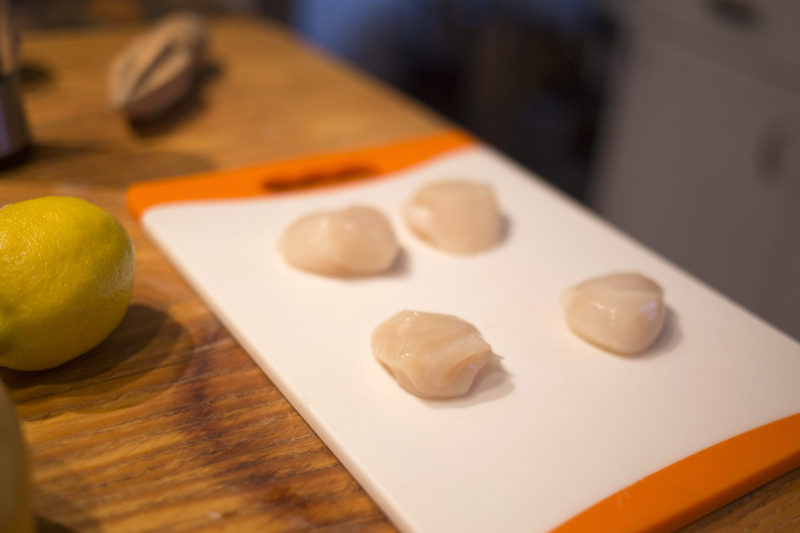 Thinly slices each scallop into 1/8-inch thick coins. Place the scallops in a large bowl with the fennel bulb. 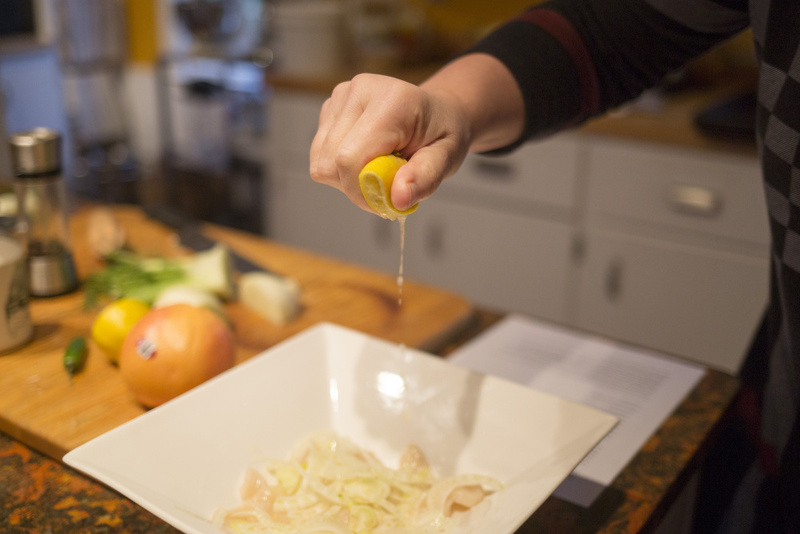 Add the lemon juice, maple syrup, chili and olive oil. Gently toss until well combined. Zest the grapefruit. Add 1 tablespoon of the zest to the scallops. You can freeze the remainder of the zest for future use. Slice the top and bottom off the grapefruit. Set the fruit cut side up (and down), it’ll now sit flatly, and remove the peel and pith by making cuts lengthwise between flesh and peel, following fruit’s contour. You will need a very sharp knife. Hold the fruit over a bowl to catch juice. Now slice lengthwise between each segment and the membranes on either side, a technique called supreming, letting the segments fall into the bowl. Add the segments and any collected juice to the scallop bowl. Stir gently and season with salt and pepper. Divide the scallops among 4 chilled plates. To serve, top each salad with a fennel frond and a drizzle of olive oil. Serve immediately with crusty bread.